The Grotto has been an affiliate of the National Speleological Society(NSS), since 1964. 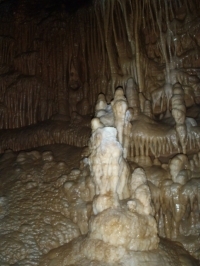 More locally, the Grotto is one of many grottos associated with the Missouri Speleological Survey (MSS) and the Illinois Speleological Survey (ISS). Both of these organizations are designed to promote cave and karst awareness of the cave resources and information for their respective states.